MANAGUA, Nicaragua (AP) — In a matter of weeks, a little-known Chinese tycoon has hired some of the world's top experts in mammoth infrastructure projects and pushed through Nicaragua's congress a bill granting him the exclusive right to develop a multibillion-dollar rival to the Panama Canal. Thursday's vote may have given Wang Jing the concession to build a canal across this Central American nation, but his HK Nicaragua Canal Development Investment Co. still has to study whether the idea is truly economically viable. The project has generated deep skepticism among independent shipping experts. At the same time, environmentalists are worried about the impact on Lake Nicaragua, the country's primary source of fresh water. The legislation approved by a 61-25 vote in the National Assembly dominated by President Daniel Ortega's Sandinista Front contains no specific route for the canal and virtually no details of its financing or economic viability. It simply grants the Hong Kong-based company 50 years of exclusive rights to study the plan and build and operate a canal in exchange for Nicaragua receiving a minority share of any profits. Ortega's backers say the Chinese will transform one of the region's poorest countries by turning a centuries-old dream of a Nicaraguan canal linking the Pacific and Caribbean into reality. They say it will create tens of thousands of jobs for the country and fuel an economic boom that would mimic the prosperity of nearby Panama and its U.S.-built canal. "One of Nicaragua's great riches is its geographic position. That's why this idea has always been around," Sandinista congressman Jacinto Suarez said during debate Thursday. "Global trade demands that this canal is built because it's necessary. The data show that maritime transport is constantly growing and that makes this feasible. Opposing it is unpatriotic." However, Bill Wild, chief project adviser for HK Nicaragua, said a detailed study is needed to determine if a canal would provide enough profit to attract the international investors who will be needed to finance the project. Wild, who is one of a number of Western experts hired by HK Nicaragua to provide advice ranging from engineering and environmental planning to public relations, also said it's too early to say if a widely reported project cost of $40 billion is accurate. In addition, the global economic slowdown of recent years has resulted in large numbers of ships sitting unused, perhaps 5 percent of the global fleet. Many vessels are scheduled to be completed in coming years, and the percentage of idled ships could grow to more than 20 percent, experts said. "Looking at the changing flows and where the growth is in the world economy, personally I'm not seeing it. I wouldn't invest my money in it," said Rosalyn Wilson, a senior business analyst at Delcan Corp., a Toronto-based transportation consultancy and author of the U.S. logistics industry's annual report. Paul Bingham, head of economic analysis at the engineering planning firm CDM Smith, which specializes in large water and transportation infrastructure, had similar concerns. "There's going be some growth in world trade. The big question is: What routes is that trade going to move on? That's the real challenge that Nicaragua faces," he said. "It's very easy to say trade is going to grow, but that doesn't mean that Nicaragua is going to be in a competitive position to take advantage of it ... I'm not convinced right now." But the Nicaraguan path would have to be roughly three times the length of the Panama Canal's 50 miles (80 kilometers), meaning a much longer passage since ships can't sail fast in a canal. The Panama Canal's administrator, Jorge Quijano, said that "gives us even more of a competitive advantage." Environmental effects will also be an issue. "We're at a crossroads because either you use Lake Cocibolca for floating boats or you use it for drinking water, but you can't use it for both things at once," said Victor Campos, assistant director of the Humboldt Center, an environmental organization. 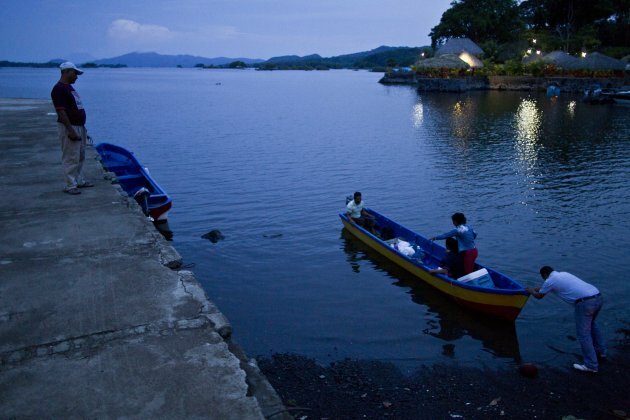 Wilson, the business analyst, said the use of the lake's water also raises questions for Nicaragua's economy. Associated Press writer Luis Manuel Galeano reported this story in Managua and Michael Weissenstein reported from Mexico City. AP writers Mark Stevenson in Mexico City, Joe McDonald in Beijing and Juan Zamorano in Panama City contributed to this report. MANAGUA, Nicaragua (AP) -- A proposal to build a massive rival to the Panama Canal across the middle of Nicaragua was overwhelmingly backed by lawmakers Thursday, capping a lightning-fast approval process that has provoked deep skepticism among shipping experts and concern among environmentalists. The National Assembly dominated by President Daniel Ortega's leftist Sandinista Front voted to grant a 50-year concession to study, then possibly build and run, a canal linking Nicaragua's Caribbean and Pacific coasts to a Chinese company whose only previous experience appears to be in telecommunications. The legislation approved by a 61-25 vote contains no specific route for the canal and virtually no details of its financing or economic viability, simply granting the Hong Kong-based company exclusive rights to study the plan and build the canal if it proves feasible in exchange for Nicaragua receiving a minority share of any eventual profits. Ortega's backers say the Chinese will transform one of the region's poorest countries by turning a centuries-old dream of a Nicaraguan trans-ocean canal into reality, bringing tens of thousands of jobs to the country and fueling an economic boom that would mimic the prosperity of nearby Panama and its U.S.-built canal. "One of Nicaragua's great riches is its geographic position, that's why this idea has always been around," Sandinista congressman Jacinto Suarez said during Thursday's legislative debate. "Global trade demands that this canal is built because it's necessary. The data shows that maritime transport is constantly growing and that makes this feasible. Opposing it is unpatriotic." The Hong Kong company will now begin a study of the project's feasibility that will last many months, said chief project adviser Bill Wild, one of a number of Western experts hired by the firm to provide advice ranging from engineering and environmental planning to public relations. He said it was too early to say if a widely reported project cost of $40 billion would turn out to be accurate. While rising demand for shipping appears to make a compelling economic case for the new canal, it is impossible to predict before the study is complete if the project will turn out to be financially feasible, he said. The canal project will require financing from international investors. "There's a compelling commercial reason to build the canal," Wild said. "We have to prove now that the actual rate of return that the investors will get is adequate." While the company has said almost nothing about the canal's route, it would certainly cross Lake Nicaragua, the country's primary source of fresh water. If one of the world's largest infrastructure projects ever is actually built, the water used by the canal's locks could seriously deplete the lake, environmentalists say. "Approving this is unconstitutional, fraudulent and damaging to the interests of Nicaragua. The 'great Chinese' don't have the capital or the experience for a work of this size. There's no precedent to support it," Eduardo Montealegre, the leader of opposition legislators, said during the assembly debate Thursday. Global engineering and shipping experts say those concerns are real and that lowered demand for massive container shipping and increasing competition from other potential routes may mean that the Nicaraguan canal will simply prove economically unfeasible. "Nicaragua isn't for sale. Nicaragua belongs to all Nicaraguans and isn't the private property of Ortega and his family," the Movement for Nicaragua, a coalition of civil-society groups, said in an open letter to the country Wednesday. 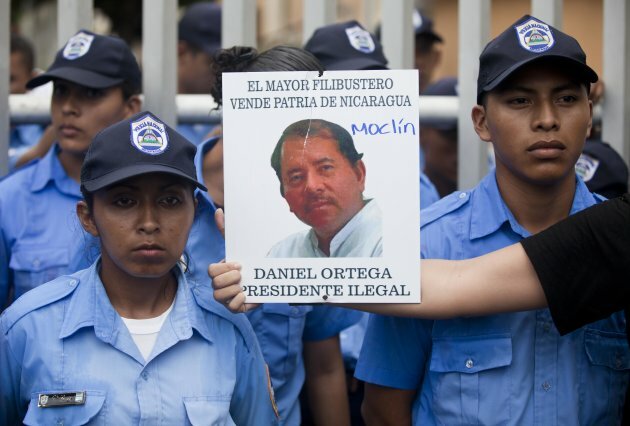 In 2009 the Sandinista majority on the Supreme Court overruled limits on consecutive terms set by the Nicaraguan constitution, allowing Ortega to run for his third 5-year term and win. Other recent Nicaraguan presidents also had repeatedly tried to win support for a canal, without much success. Some economists express doubts about the proposed canal. "Looking at the changing flows and where the growth is in the world economy, personally I'm not seeing it. I wouldn't invest my money in it," said Rosalyn Wilson, a senior business analyst at the Delcan Corporation, a Toronto-based transportation consultancy and author of the U.S. logistics industry's annual report. "It's addressing a need that definitely is not here now and I'm not sure if it's 'a build it and they will come sort of thing,'" she said. Eduardo Lugo, a Panamanian port logistics consultant who worked for 10 years studying traffic demand for the Panama Canal's expansion plan, also questioned whether global traffic demand would support the high costs of the Nicaragua project. "There's going be some growth in world trade. The big question is, what routes is that trade going to move on. That's the real challenge that Nicaragua faces," said Paul Bingham, the head of economic analysis at engineering planning firm CDM Smith, which specializes in large water and transportation infrastructure. "It's very easy to say trade is going to grow but that doesn't mean that Nicaragua is going to be in a competitive position to take advantage of it ... I'm not convinced right now." Backers of previous canal plans have argued that the Nicaraguan route would prove more economical than Panama's because it would handle ships with far larger cargo capacity. But the Nicaraguan path would have to be roughly three times as long as than Panama's, which is about 50 miles (80 kilometers) long, a fact that Panama Canal Administrator Jorge Quijano said "gives us even more of a competitive advantage." "It isn't easy," Quijano said. "The terrain is really complex, more than ours." "It takes a lot of water to run locks," Wilson said. "Is it going to be done in such a way that's not trading away another part of the country's economy down the line?" Roberto Troncoso, president of the Panamanian Association of Business Executives, said China's government may be encouraging the new canal as a way to establish a route independent of the Panama Canal, which is perceived as remaining under heavy U.S. influence. "The money is totally irrelevant," he said. "We're talking about national hegemony. China is looking to turn itself into the predominant economic power. Whoever dominates trade, dominates the world." He also heads Beijing Xinwei, a mid-sized telecommunications firm that, according to Chinese media, was partly owned by a large government telecoms equipment company, Datang, which sold its shares in a 2010 restructuring. Correspondents Mark Stevenson in Mexico City, Joe McDonald in Beijing and Juan Zamorano in Panama City contributed to this report.